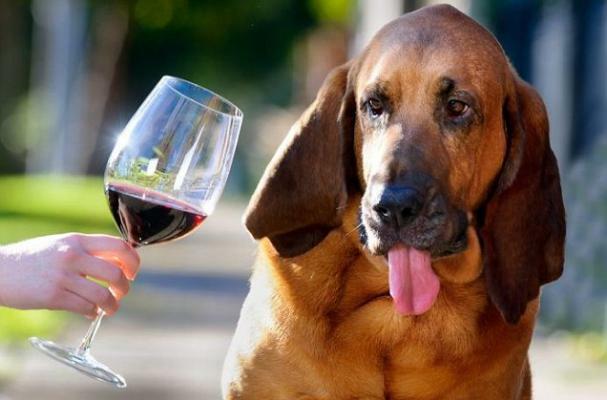 Louisa Belle is a 7-year-old wine-testing bloodhound that saves her owners, Daniel Fischl and Michelle Edwards of Linnaea Vineyards in Australia, from bottling bad wine. The pooch doesn't take a sip of the stuff, instead using her sensitive nose to identify faulty corks and tainted wine. "Most wineries rely on a human nose, but Belle's nose is 2,000 times more sensitive," said Fischl. Despite the the bloodhound's refined palate, Metro reporter Alistair Potter writes that Louisa Belle is more than satisfied with a standard dog diet of water and kibbles.